What’s the secret of your success? “The speed of Kristen.” (It’s a term in my house.) If I can do it now, I will. If it’s an idea today, it’s done tomorrow. I take action and then redirect if necessary. I’ll admit I’ve erred on the side of “Fire, then Aim,” but I’ve learned my lessons well along the way. It makes life more exciting too. I will poke the box and try anything. I’ve tried things that fell flat and other things that worked beautifully. I keep writing and learning. My family has always supported my writing. I met my now-husband Lem in 2007, and whenever I told him about an idea, he said, “Of course you can achieve that.” I believed him until it became real. What was the single best thing you ever did? I learned to live by that phrase, and also to believe in myself, my dreams and my determination to make things happen. My goal book helped me achieve all kinds of things in my writing career as well as my life. I’ve since began writing all my writing notes in it too, so I have my progress, what I’m learning, and my goals all in one place. The single best thing I did, after starting that book, was following my heart and writing Point Hope. I left romance genre rules behind and wrote a story from my heart. That led to many breakthroughs in my writing. Did you get lucky? What happened? I believe in making my own luck. The word “opportunity” comes from the phrase, “Ob Portu,” which means waiting for the tide. Ships couldn’t leave port during low tide, so the sailors filled the cargo, and when the tide came in, they sailed. I try all kinds of promotions, and some of them work extremely well. That feels lucky to me, but it’s replicable too, by trying something else. I thought about a promotion for several months in the first half of 2012, and then after releasing Point Hope, decided to go for it. I put seven ebooks free for five days and promoted the heck out of it. I think a few things outside of my control contributed as well. My freebies did well, and Point Hope shot up to #200 paid in Kindle. Montlake Romance emailed about acquiring the book a month later. Sometimes luck comes out of the blue, and other times it comes from taking educated risks. How do you get/stay in creative mode? I’m driven to write stories—they’re always playing in my head. Writing is my hobby, passion and release from real life. If I feel stressed or overwhelmed, I work on one of my stories. Other times, when I feel the need to get words down but I don’t feel creative, I start writing anyway. It feels forced at first, and then the story opens up and I see the characters. I don’t give in to writer’s block. I’ll jump to a different scene or book, or go do something completely different. Then my story starts playing out in my head again! It’s like a finicky cat: ignore the book and it’ll come calling. I’m really struggling with an answer for this one, so I’m not sure I do! If I’m working on a book, it takes precedence over about everything besides my family. Pots in the sink? Carpets to clean? No matter, I have writing to do! I will say writing is more important than promoting. I launch new books by announcing it on my networks, and that does the promoting for me. It’s the easiest way to get sales moving across my titles. 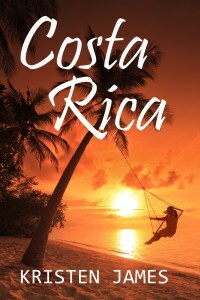 I have a new novel releasing this month called Costa Rica. 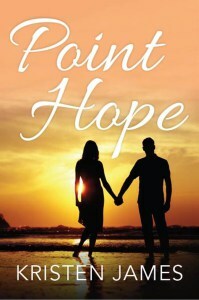 It’s a family drama like Point Hope, but with two families and a big trip. I have another novel almost complete called In a Field of Oranges, and a third in the idea stage. I’m writing more family drama—what you might call women’s fiction—although In a Field of Oranges is a romance with big emotional themes. I plan to write more books this year and to continue with 3-5 a year. What’s the highlight of being an author-publisher for you? Moving at my own speed and getting things done! I love working on my cover design, being able to publish on my schedule, and adapting my marketing at any time. What’s your top tip for other indie authors? Everything hinges on having a novel that pulls readers in, so I’ll share a tip I’m working on myself. Fully develop your story premise: is it big enough? Deep enough? Is there enough conflict? Have you put your heart into it? Are your story events HUGE, whether that’s external, emotional or both. Having a compelling, engrossing, gripping story foundation makes everything so much easier, from staying on track as you write the book to marketing it. 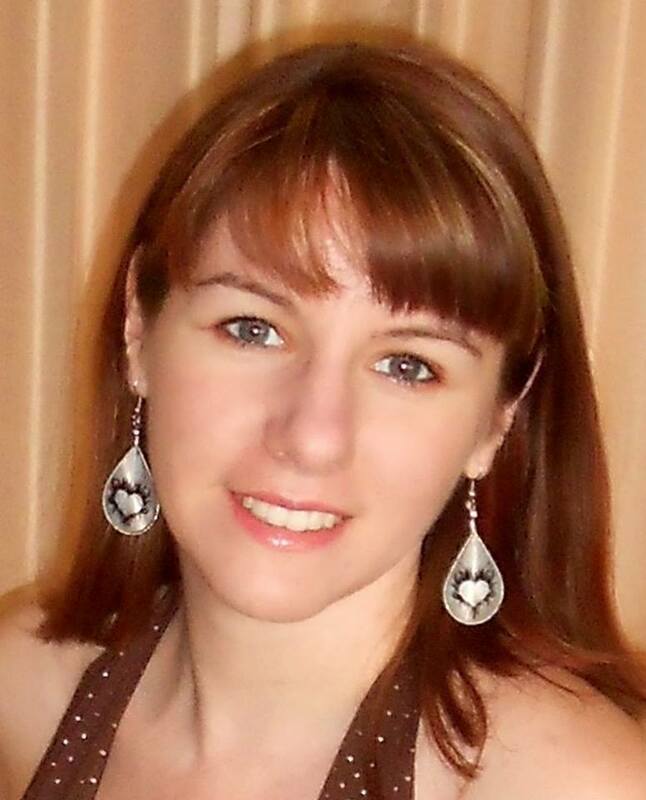 Kristen James began crafting stories at an early age and just kept writing. Her stories feature family drama, married romance and the beauty of the Pacific Northwest. She enjoys travelling, spending time with her family, and exploring the outdoors. Currently, she resides in western Oregon. Visit her website and newsletter signup at www.writerkristenjames.com. I came across an article regarding your success in publishing ebooks. I was very inspired by your work and your success. I am just starting off in the publishing world. I published an ebook in August, which is shown below the email. It has had limited success, despite several marketing gigs and months of work. I could use your advise and mentorship. If you could spend a few hours of your time explaining your success, I would market any work of yours on my facebook and on my blog. Hey there, you have certainly found the secret of success. I put four on amazon yesterday. Hope they do as well as yours, no idea how to advertise them!! Enormously encouraging that Kristen says “The single best thing I did, …, was following my heart and writing Point Hope. I left romance genre rules behind and wrote a story from my heart. That led to many breakthroughs in my writing.” I struggle with the advice to write to the genre, (whichever genre fits my story…), but find that writing from the heart is what drives me. So, great news, and I’ll stop worrying overmuch about ‘where’s this supposed to be shelved, and what are the rules?’ And the goals book idea: yes! Good interview. Interviews like these make you feel really positive about self publication. What an amazingly positive person. I am learning that just having one book is not enough. There is power in numbers and then having a marketing strategy to promote them. This is all great stuff. Good luck to her and thank you for sharing this interview. Written A LOT OF GOOD BOOKS (she has good reviews) with GOOD book COVERS. You’re welcome, James! It’s funny and yet exciting how all the little steps have added up, and that’s true for Indie authors in general. Just look at how far we’ve all come in the last three years. More and more opportunities are opening to all authors. Readers are looking for good storytellers and putting less emphasis on how they were published. It also helps that authors are so transparent and supportive of each other; we share writing, publishing and marketing tips. I’m so thankful to be living and writing in a time like this!